It was an honor and privilege to be a part of the team to bring a Distributed Antenna System to one of the largest and most iconic concert venues in Washington. 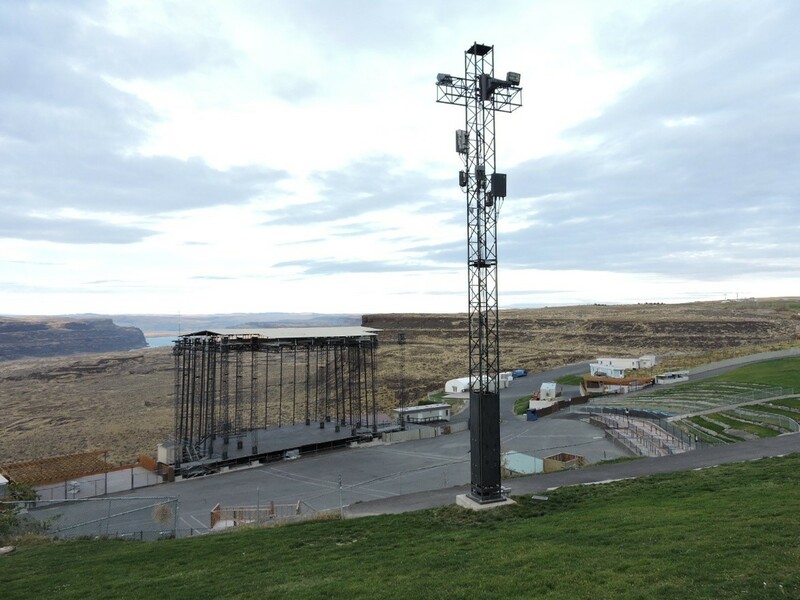 The project was to design a new telecommunications Distributed Antenna System (DAS) facility at The Gorge, a 20,000+ seat outdoor concert venue. LDC Inc. engineered the design for the location to include 7 existing structures and a new custom wood framed building for the equipment. The design provides coverage to a majority of the over 500 acres of concert seating and common areas. LDC Inc. performed as the lead in planning, engineering, design and permitting. This included survey, architectural, structural, and permitting services over a two year period due to size and coordination with the venue schedule. The size of the venue itself, as well as the design of the wood framed building shelter for equipment with the coordination between the venue owner, our client and jurisdiction for permitting, made for a special project for LDC Inc. LDC Inc. managed the full design of the venue build-out, including coordination of utility providers to ensure the project completed on time for the next concert season.